Marriages are complex relationships that revolve around affection, trust, passion, caring, shared dreams, and similar interests. When one of these elements breaks down, it’s like a car not firing on all cylinders. The car can still run, but not as smoothly as it originally did. If more of these elements begin to break down, it may be time to end the relationship - at least in the intimate, spiritual, and legal sense. 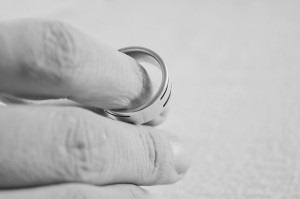 If you are considering filing for divorce, you are going to need sound legal advice throughout every stage of the proceedings. The experienced legal team at the Law Offices of Paul A. Boronow, PC, has been providing full-service representation for divorce clients for over 20 years. For a free consultation with an experienced divorce attorney in the greater New York area, including Nassau County, Richmond County, and Suffolk Counties, please call (516) 227-5353. Please call our office to schedule a free consultation. It is never too early to act. Whether or not you and your spouse are on good terms, once the negotiations begin about key issues, such as child custody, asset distribution, and alimony, even the most amicable couple can get drawn into costly adversarial proceedings. Our team has substantial experience handling a variety of divorce cases. We treat each and every case with the utmost respect and will compile evidence, arguments, professional testimony, and other necessary paperwork on your behalf to defend your hard-earned finances, property, child custody, and more. No one enters a marriage thinking it will end, but people do grow apart - especially when they marry young. Don’t feel bad about the dissolution of your marriage; divorce is just part of the modern world we live in. Consider these facts: the Centers for Disease Control’s National Vital System Report was last updated for 2015. The divorce rate is approximately 3.2 per every 1,000 people across the U.S. This divorce rate is roughly half of the marriage rate, which is estimated as being 6.9 for every 1,000 people. The divorce rate in New York for 2015 was below the national average at 2.7. In comparison, the states with the highest rates include Arkansas (4.8), Nevada (4.6), and Oklahoma (4.4). Child support goes into effect the moment a child is born. Children should receive financial and emotional support from both parents, without regard to residency arrangements. This applies regardless of whether the parties were married or not. Parents are jointly responsible for support of children until the child is 21 years of age in New York. If the child is under 21 and is self-sufficient, married, or a member of the U.S. military, then the child is classified as "emancipated" and support ceases. Emancipation also may occur in less frequent situations where someone between 17 and 21 years old leaves the family home and refuses contact or communication. Child support includes monetary payments based partly on a parent’s income to cover the child’s needs. It also may include coverage of expenses relating to heath care and child care. Legal custody: Assigns responsibility for key issues including medical, educational, and religious decisions to one parent. Joint legal custody: Assigns responsibility for these key issues to both parents. Physical custody: The residential responsibility is assigned to one parent. Joint physical custody: Residential responsibilities are shared (jointly) between both parties. Courts encourage both parents to take an active role is establishing a relationship with their children. Following an order of sole physical custody, the other parent will likely be ordered a parenting time schedule. Visitation is typically denied only in cases where the safety of the child is at risk. Other family members such as grandparents may petition the court for an allocation of time. The schedule may be modified as needed by the court over time. Your attorney may assist you in understanding the various options to be considered. Changes to the annual income caps which are applicable to temporary and post-divorce spousal maintenance. An adjustment to the way spousal maintenance is calculated based on other payments of child support. Grounds for divorce expanded to include "no-fault" divorce. Remember, the attorney that you hire to handle your case can have a significant impact on your financial and emotional well-being throughout the divorce process. We're proud to offer our clients the personalized attention they need and deserve, and handle every case in a sensitive and professional manner. Call Law Offices of Paul A. Boronow, PC to learn more about how our legal team may be able to support you when taking this important step toward a new life. We provide free, confidential case evaluations. Contact us at (516) 227-5353. Nassau County Divorce Attorney Disclaimer: The legal information presented at this site should not be construed to be formal legal advice, nor the formation of a lawyer or attorney client relationship. Any results set forth herein are based upon the facts of that particular case and do not represent a promise or guarantee. Please contact an attorney for a consultation on your particular legal matter. This web site is not intended to solicit clients for matters outside of the state of New York.